Spend just £49 or more and enter the code freekeyfob on the basket page to claim this item as a free gift! Stainless steel rope with nylon coating with strong pulling force. 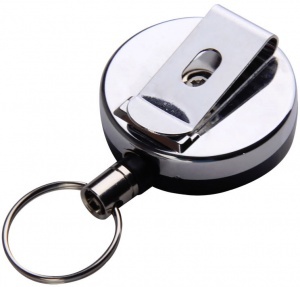 Glossy surface is a metal alloy on one side with black plastic material on the reverse side. 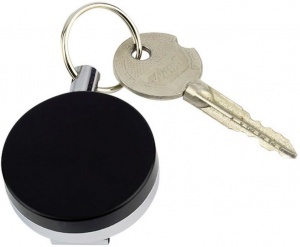 Ideal for security passes, keys and small tools.